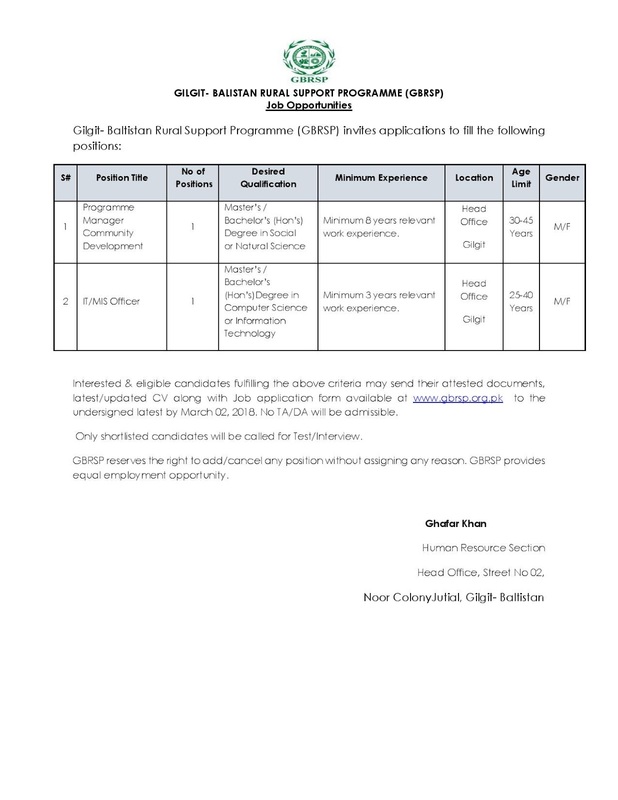 Gilgit-Baltistan Rural Support Programe (GBRSP) invites Application to fill the following position. Interested & eligible candidates fulfilling the above criteria may send their attested documents, latest/updated CV along with Job application form to the undersigned latest by March 02, 2018. No TA/DA will be admissible. GBRSP reserves the right to add/cancel any position without assigning any reason. GBRSP provides equal employment opportunity.